Daily Mirror - The Inside Track with Silverline Subaru BMR Racing - Colin's June so far - 2 qualifying sessions and 2 pole positions! 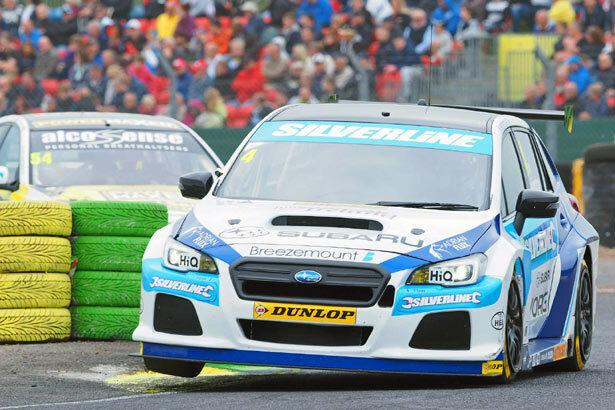 The Inside Track with Silverline Subaru BMR Racing: Colin's June so far - 2 qualifying sessions and 2 pole positions! 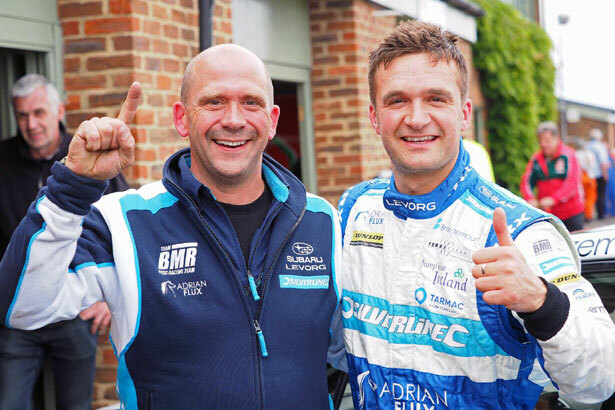 Another fantastic qualifying session for Silverline Subaru BMR Racing as Colin Turkington takes his second pole position for the team in as many meetings. When we put the dream team together, we knew that Colin and Jason were the best assets any team can have. As competitors they are just outstanding. When it comes to developing cars, their experience would be invaluable and now that we have the car getting better, boy can they drive! Oulton Park was the first time that we had the car somewhere near where we want to be. Don't get us wrong, we are still in the infancy of the Subaru Levorg GT. There is plenty more to come, but we are finally getting there. Colin, Jason, James and Warren all came away using words like "wow", "mega" and most importantly "fun". When our drivers tell us that, the whole team gets a buzz and we must never forget that while the drivers are the poster boys, they couldn't do it without the guys in the garage. So thanks boys. And so to Croft. After Oulton Park, how could we match that? Well, for a start everyone had to be professional enough to not get carried away. Happily, we don't rest on our laurels and everyone was, if anything, even more focussed. The boys were on the ball and free practice saw us running all of our usual test routines. Nothing to see here folks! It is amazing how much people read into free practice, but for us it is just about trying new things and getting everything right for qualifying. Qualifying always has so much going on that it is massively important to get those good laps in. Slow cars, red flags, pit stops and everyone else trying to find space can all be a problem, so to get 2 of our drivers in the top 4 is a real achievement. Colin on pole and Jason in 4th looks good for us. Colin obviously has the best seat in the house at the start of race one, but who would dare bet against Jason from 4th on the grid? We wouldn't. "The car is fantastic. It feels alive under you and responds so well to the driver's input that it is a joy to drive." said Colin. "When a car is this good, it means that I only have to think about what I am doing and not having to second guess what the car will do. It is very, very special now and I hope that we can make it even better as time goes on. We have to remember that we had virtually no pre-season testing and so to come this far so soon is a great sign of things to come." Keep it going boys, the whole team is right behind you. Colin's June so far - 2 qualifying sessions and 2 pole positions! Colin Turkington, Jason Plato, Warren Scott and James Cole have their sights set on further success as we head north for Croft Circuit this weekend. Oulton Park - That was more like it!! Oulton Park was a major breakthrough for us and we finally started to get the car where we wanted it - at the front! Massive improvements and a first ever Subaru BTCC pole position at Oulton Park! After a difficult time for us, we hope to have much better news at Oulton Park this weekend! We made it and the boys 'done good'! It's the BTCC season opener at Brands Hatch and we have four Subaru Levorgs blasting around the circuit, so a huge thank you has to go to everyone in the team for all of their dedicated work and long nights.